Bracket Style Pool for the NCAA Division 1 Women's Basketball Tournament. The competition starts with the round of 64 teams. Customize scoring for your perfect pool. 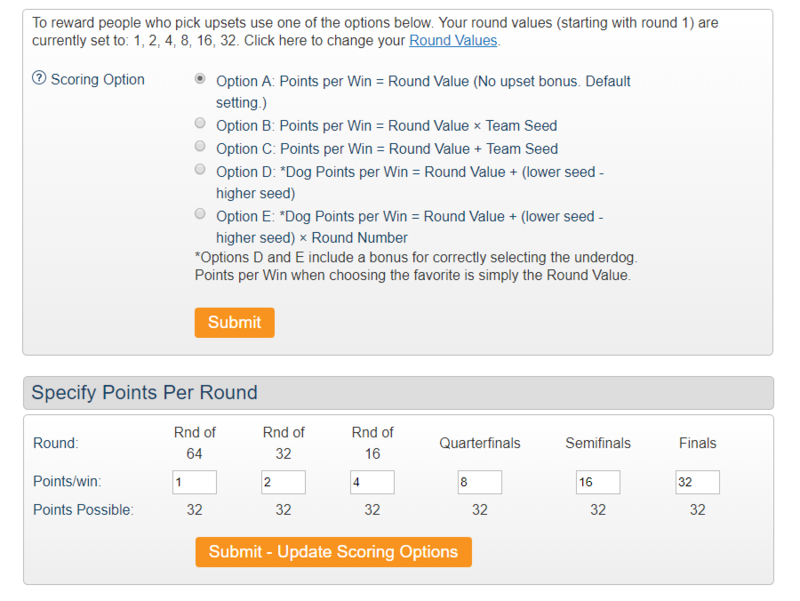 Specify the number of points awarded per win in each round, give extra points for picking upset winners or choose from the many upset bonus scoring options.